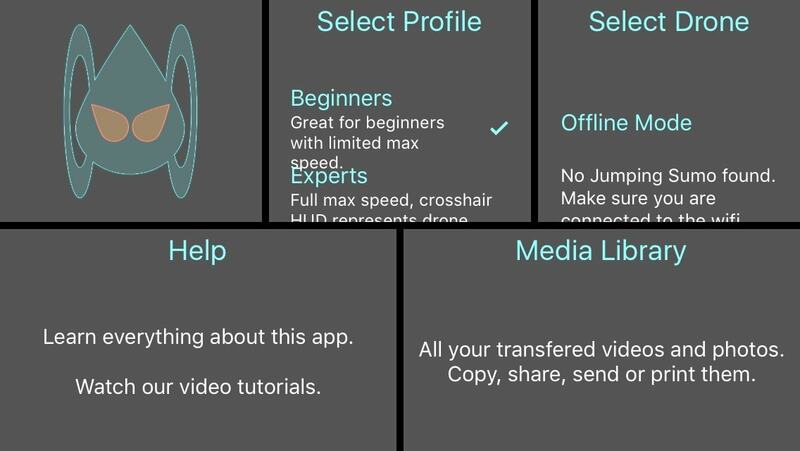 Setting profiles - comes with two different settings profiles for beginner and experts. But you can add as many settings / user profiles as you want. You can even share setting profiles with your friends or your own devices via Air Drop and Email. Drive Timer - the timer shows exactly how long you are driving. Quick turn button - drag the quick turn button up or down for precise 180° turns and right or left for precise 90° turns. MFI gamepad support - control your drone with any MFI gamepad that has two additional joysticks like the Stratus Steel, Moga Ace Power or the Mad Catz CTRLi. 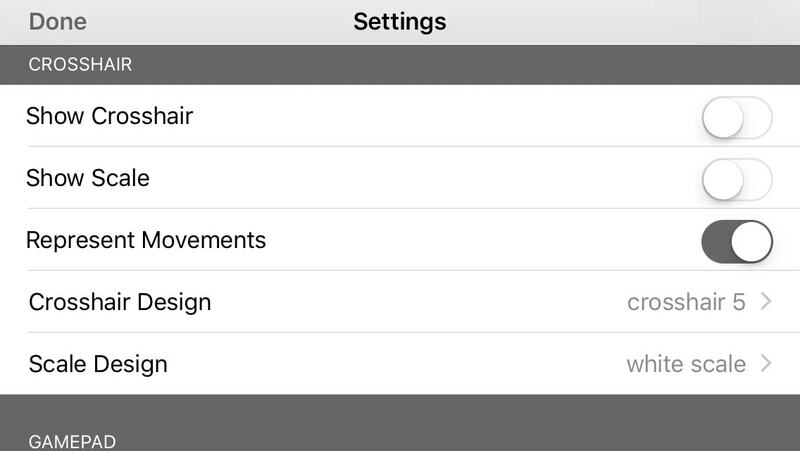 You can assign every button to every available function in the settings. Configurable user interface - you can show/hide every button. 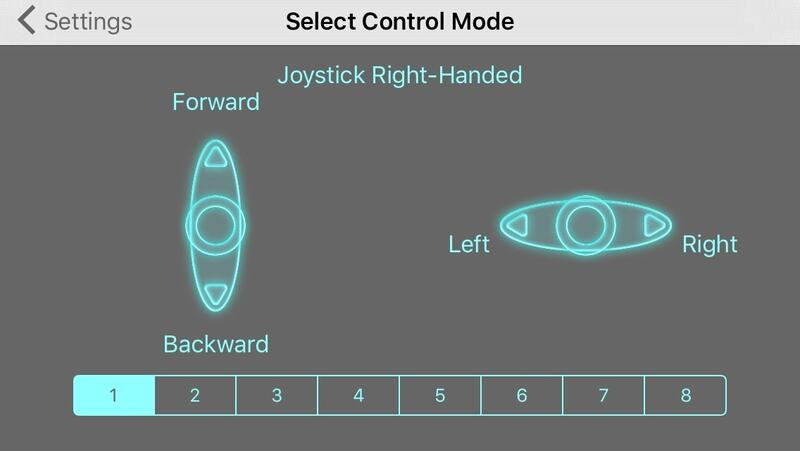 Choose between different control modes. Sumo Control is not available in the US App Store. What gives? Due to patent reasons there is a dedicated app for the US market. It is called Sumo Control US and you can get it here. 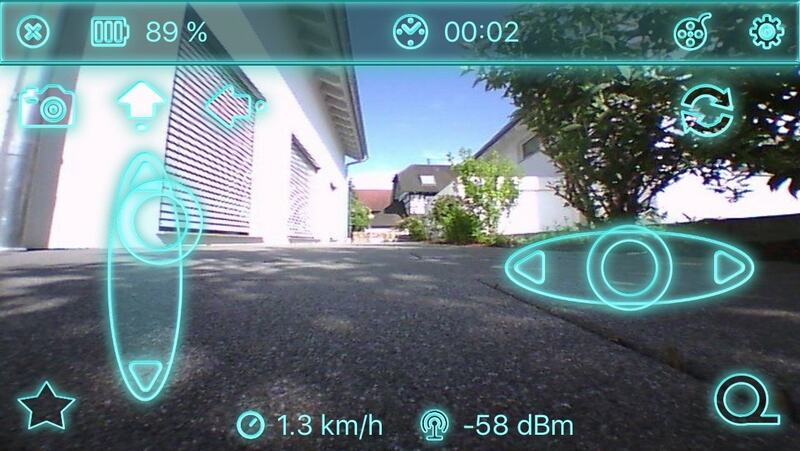 Does this app work with other drones like the Bebop Drone or the Mini Drones? 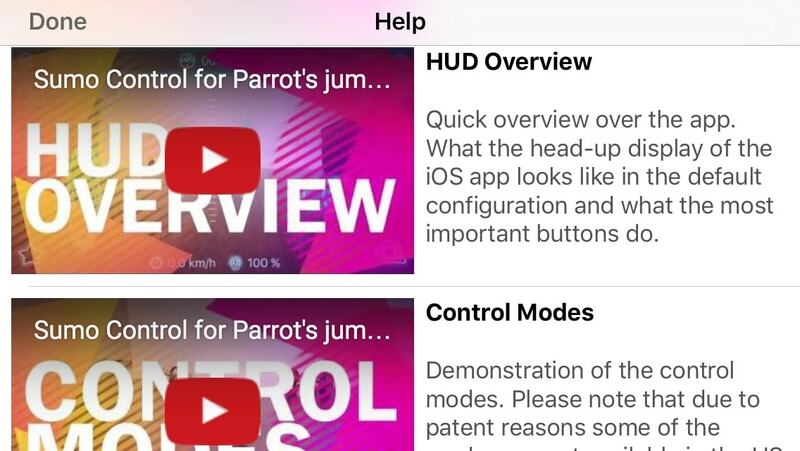 No, this app will work only with the jumping Sumo, jumping Night and jumping Race but there is Mini Drone Control for Parrot's Mini Drones and Bebop Control for Bebop 1 and Bebop 2. Where can I talk to other jumping Sumo users and exchange experience? 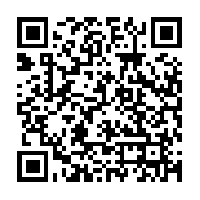 Watch the video demonstration of the app. You will see the key features of Sumo Control.